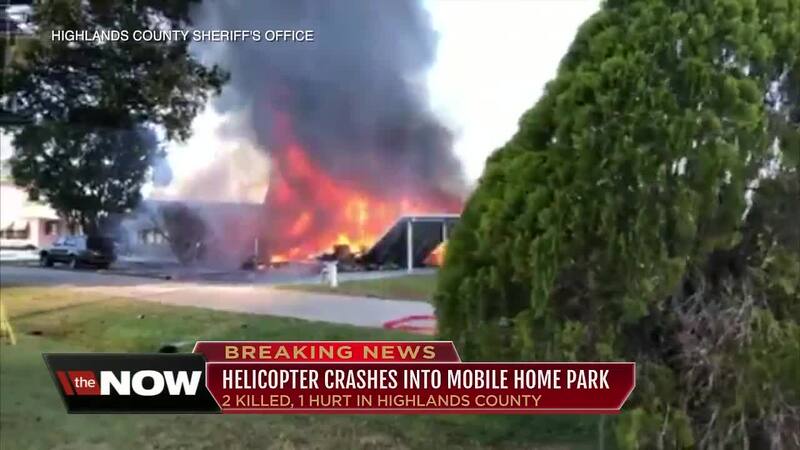 SEBRING, Fla. — Two people have died after a helicopter crashed into the Sebring Falls Mobile Home Park in Highlands County, Fla. the Sheriff's Office reports. Highlands County Sheriff's Office says that the crash occurred at 2:37 p.m. Tuesday at the Sebring Falls Mobile Home Park. Deputies say that two people have died, they were both believe to be in the helicopter. Another person, who was on the ground at the time of the crash, was injured and transported to the hospital. The names of those involved in the crash have not been released at this time. 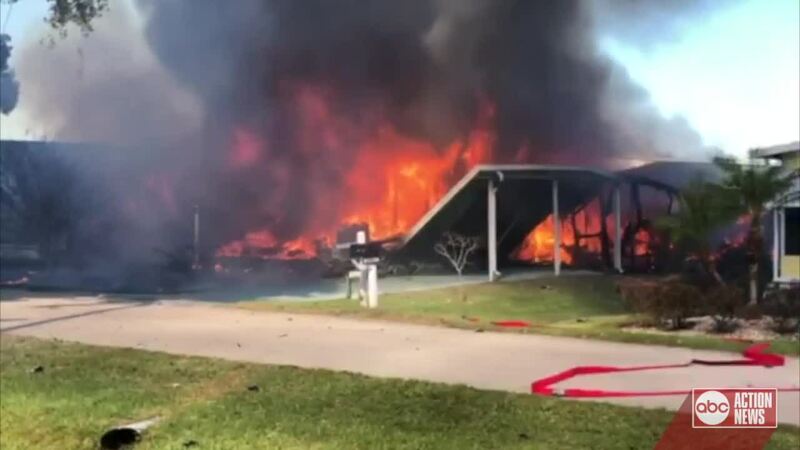 One home was completely destroyed in the fire, according to Hillsborough County Fire Rescue. Two other homes were damaged by the flames.